Keyvan Nayyeri is a software engineer with a master of science degree in computer science and a bachelor of science degree in applied mathematics. He has been an active contributor to the .NET community for more than ten years, published various articles about .NET programming, and contributed to several open-source projects. 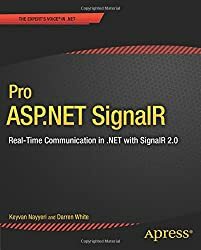 Keyvan has authored several titles, including Professional Community Server, Professional Visual Studio Extensibility, and Beginning ASP.NET MVC 1.0. He was also a guest author and technical editor on Professional Visual Studio 2008. Keyvan lives with Titan, his Siberian husky. He is a sports enthusiast and enjoys most of his spare time running and hiking outdoors or playing soccer and tennis. When he is too tired for sports, he can be found at a new restaurant trying new food or at his home reading an exotic book. You can follow him on Twitter @keyvan.